On Sunday morning right before church, I decided to play tourist and took the KHS Latte on a little ride to DownTown Brea. 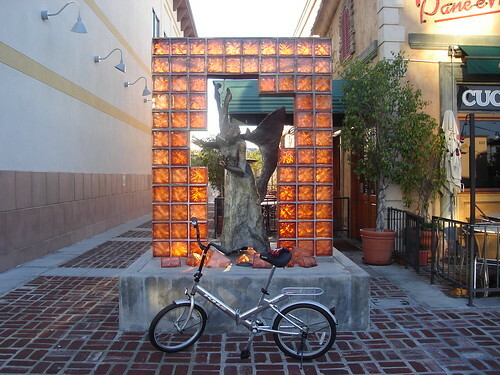 There’s a statue that I love that is right on Brea Blvd between Tower Records and the Italian restaurant. Check it out! 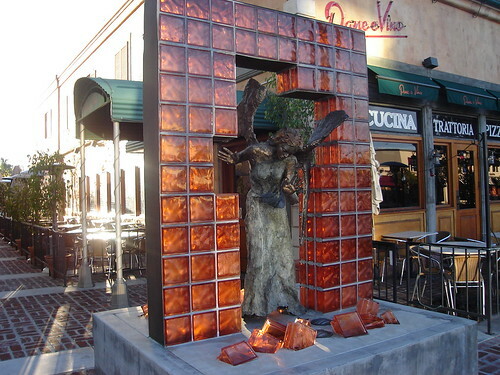 Its basically an angel busting through a wall…Here’s a better angle. That’s an awesome shot! I can’t wait to go back for a visit.